ABI Electronics has proudly attained a reputation throughout the world for quality which is paramount within all areas of operation. ABI has a quality culture that is supported by ongoing operator training. IPC-A-610 workmanship standards have been adopted as ABI’s general workmanship standards. We also have accredited IPC trainers on site to ensure that all operators' levels are monitored and maintained. ABI also operates a system of continual improvement. A full data and trend analysis system is in place to monitor production performance at all stages of assembly. ABI has 30 Years experience of building high quality, high specification products. 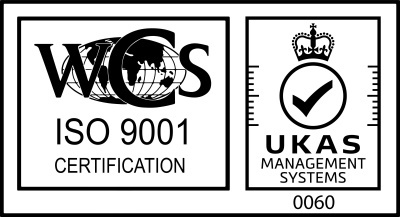 This quality is proven by our continued approval by companies such as RS Components, Farnell and defence organisations throughout the world (see our applications section for details of our customers). Automated Optial Inspection (AOI): ABI have invested in new AOI equipment YESTech B3 Advanced, high speed, multi colour benchtop Automated Optical Inspection (AOI): offers off-line benchtop PCB assembly inspection with exceptional defect coverage. This benchtop system inspects solder joints and verifies correct part assembly enabling users to improve quality. JTAGMaster Tester and Programmer: ABI have designed and manufacturer a JTAG Tester and Programmer which is a fully integrated solution for the configuration and diagnosis of Programmable Logic Devices (PLDs). This unit includes a boundary-scan tester to arbitrarily observe individual pins and therefore determine their functionality and a programming interface designed to handle industry standard SVF Files. The JTAG Tester and Programmer is designed to work with ABI’s bespoke software – a multiple purpose platform that enables users to freely configure test procedures and instruments. Customer Specific Test Rig; ABI also design and build customer specific test rigs that will interface with the customers boards or units to allow fully functional test solutions.